To keep the research on how other artists create their visual identities I head to behance – the best place to share and inspire others with your work. 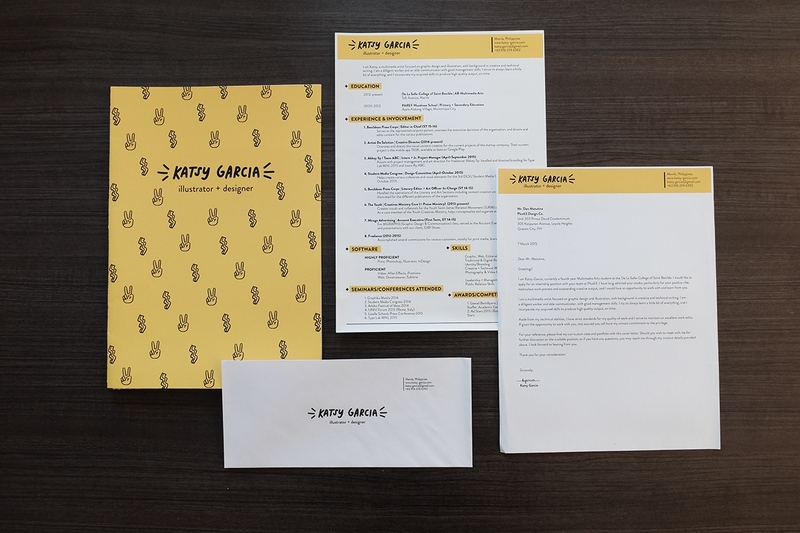 I stumbled upon the amazingly sharp and fun identity created by Katsy Garcia that developed her personal brand as a designer. 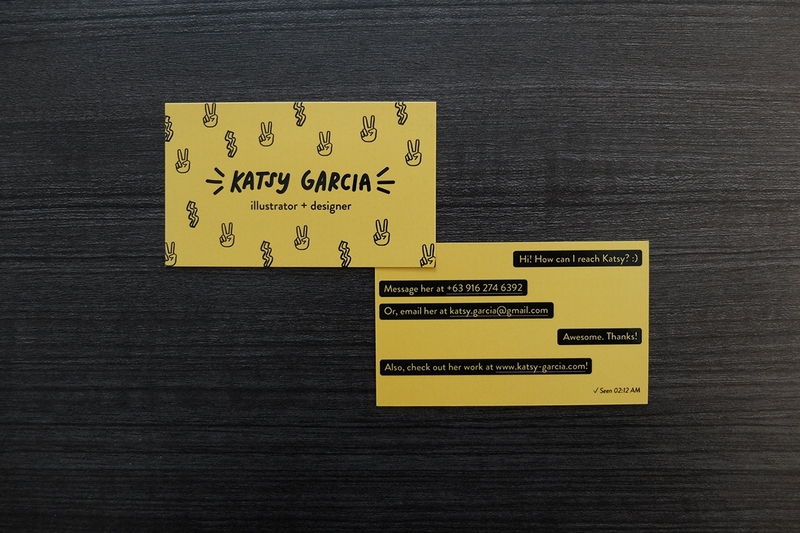 You can find her on http://www.katsy-garcia.com and behance profile.